The 2016 viral photo of a couple passed out in a car while a child sits in the back seat triggered a painful moment of self-reflection in East Liverpool, Ohio. The community took steps to address its addiction problem, but progress has been spotty. In September 2016, the town of East Liverpool, Ohio, captured national attention when a photo of a local couple's overdose went viral. It showed a woman and her boyfriend sprawled comatose in the front seats of a car, while the woman's 4-year-old grandson sat in the back. The image was originally posted by the local police department. Overnight, East Liverpool, a town of just over 11,000 people, became the face of the opioid crisis enveloping parts of the country. 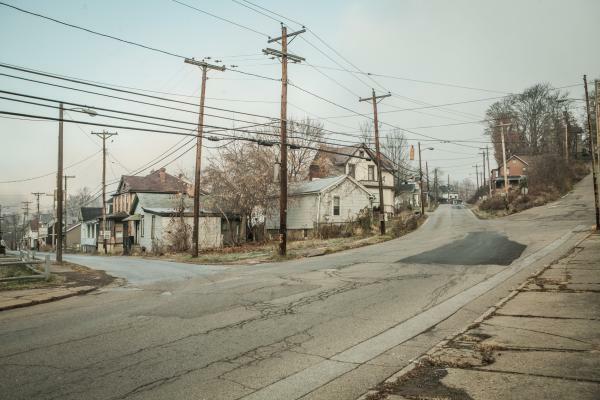 Like many small communities in the Appalachian region, East Liverpool struggles with a foundering economy. The town is in the Mahoning Valley region, once home to a thriving steel industry. The region now has high unemployment and low average income, and has seen a steadily rising opioid overdose rate over the last decade. The viral photo triggered a painful moment of self-reflection in East Liverpool. The community took steps to address its addiction problem, but progress has been spotty. New funds became available for treatment, and a local clinic started offering medication-assisted treatment in town, but it has since shut down. The police department got a grant to start a quick-response team to help connect overdose patients to recovery services, but then funding ran out. Photographer Ian Brown traveled to the East Liverpool area several times to document this community and talk to people about how they feel about their town and their own futures. Here are the faces, and words, of the people of East Liverpool. In 2013, after seeing people she was close to struggle with addiction, CeCe Douglas (right) brought together a group of women in the community to start a grassroots nonprofit called Enough is Enough. The group helps people connect to treatment options in the community and also runs food drives and coat drives. She thinks local government and the community should be doing more to help combat addiction. Clentona Gist (left) is Douglas' half-sister. Gist is recovering from a family tragedy that happened several years ago. Gist says Douglas has been her primary support since then, as she struggles with grief and works on her recovery from a crack cocaine addiction. Ryan Stovall (left), the mayor of East Liverpool and a part-time police officer, Brian Allen (center), the city safety manager, and John Lane (right), the police chief, together made the decision to release and post the photo that went viral in 2016, sparking a national conversation about the opioid epidemic. They instituted a more aggressive approach to policing to crack down on drug dealers, including a community-based program encouraging citizens to report any suspicious, drug-related activity they witness. The administration also created a Facebook page where photos of people charged with drug offenses are posted in an effort to "out" dealers and make it known that East Liverpool is taking a stance against drugs. Some in the community say that this tougher approach may just be moving the problem out of East Liverpool to neighboring communities. But Stovall stands by it, saying he "would gladly share our effective eradication approach" with other communities. Stovall says that his administration is now shifting its focus from law enforcement to economic growth. "Economic diversity and jobs are the key to our continued success," Stovall said via email. Tawnia Jenkins grew up in East Liverpool and still lives in the house she was raised in. She began using and dealing drugs in the late 1990s, she says, when she lost her job and needed to supplement her income. Jenkins was eventually arrested and served time in prison. When she was released, she says it was difficult to get a job as a felon, but eventually she put herself through college. She now works as a drug intake counselor and peer support specialist at a local outpatient recovery clinic, the Family Recovery Center. Jenkins says she wanted to come back and help: "I returned home to become a thriving, supportive citizen of East Liverpool." She says the town has a long way to go in tackling addiction. "The cops may say they have cracked down, but there is still an epidemic here," she says. "There are more bars and empty buildings than resource centers or even housing for people who want to get clean but can't due to living arrangements." She says the town also lacks activities for young people to be involved in: "When you look at downtown, you see empty buildings and lost hope." Melody Monteiro grew up in East Liverpool and works as a drug intake counselor for people facing incarceration. She says the town already had an addiction problem, including crack and alcohol, before that infamous overdose photo. "The  picture highlighted a problem that had been ongoing for years," she says. It wasn't until middle-class people started dying of opioid overdoses that the town started waking up to the severity of its problem, she says. Monteiro says she would like to see more resources going toward residential treatment and supportive living environments for people in recovery, like halfway houses. Without long-term support, people with addiction may end up relapsing. 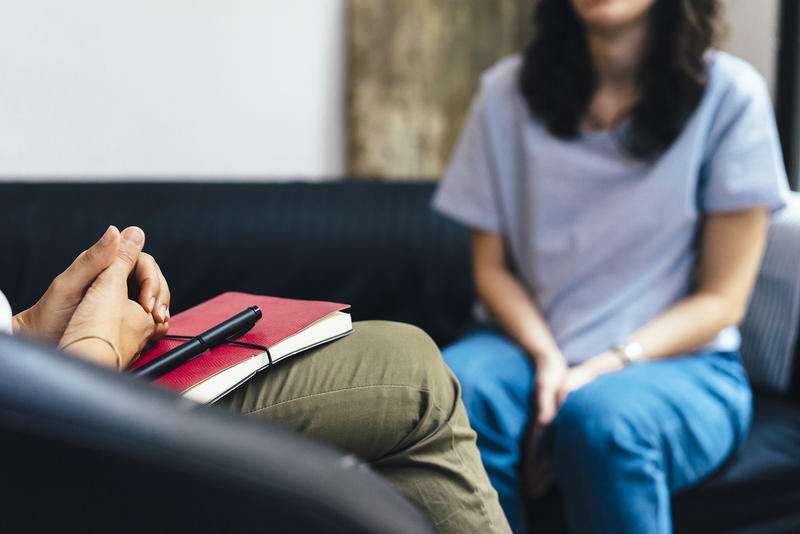 Inpatient residential treatment options are scarce in the area, especially for women. Shannon Marie Johnson is a mother of four who lives in East Liverpool. She says she has lost a lot of good friends and acquaintances to heroin. She says talking to her kids about these deaths has been one of the hardest things she has ever had to do. But she says, she still has optimism about the future of the town. In 2015, Glen McMillin Jr. was hit by a drunk driver while riding his motorcycle. After the accident, he was prescribed pain pills by his doctors. He became addicted and began buying pills from dealers in town until he eventually started using heroin. McMillin says he overdosed three different times. Here, he is pictured standing in the ditch where he had his third overdose. He was revived with Narcan and was in intensive care for five days. Afterwards, he got on Vivitrol, a medication that treats opioid addiction and became involved in a faith-based nonprofit treatment program, which, he says, changed his life. He has been in recovery for over a year. Josh Lytle used to use and deal drugs and has spent time in prison. His father began a faith-based treatment program in 2008 called Family Care Ministries as a way to deal with Lytle's addiction and incarceration. In 2016, Lytle and his family moved to East Liverpool to open a new chapter of the ministry. He has partnered with the police department and has been offering assistance, treatment and counseling for people struggling with addiction and for their families. Officer Kelsey Hedrick is a 21-year veteran of the East Liverpool Police. He runs the East Liverpool Police Museum and takes visitors on tours of historic crime sites in the town. He thinks the police have been doing a good job fighting the drug epidemic with the resources they have. Mitzi Stoddard says she used heroin for seven years before she got into court-ordered recovery two years ago. She went to a rehab center, where she says she learned she had to change more than her drug use. "You have to change your entire life and the way you think," she says. Addiction is a family matter for her. She says she watched a loved one overdose in 2017 and watched the paramedics revive them, using several doses of naloxone, the overdose antidote. Stoddard says the community needs an economic boost and more addiction treatment resources, including long-term rehab, trauma counseling and mental health counseling. "We need long-term care ... 90 days to 6 months. Those type of inpatient facilities they have some in neighboring counties," she says. Ian Brown is a freelance documentary photographer from Toronto. His series, "American Dreams", is a collection of portraits of people across the U.S. His Instagram is @ianbrownphotography. This story was edited by Meredith Rizzo and Carmel Wroth of NPR. Design and development by Alyson Hurt of NPR. Fentanyl is now the drug most frequently involved in overdose deaths in the U.S., according to a National Vital Statistics System report published Wednesday from the Centers for Disease Control and Prevention. 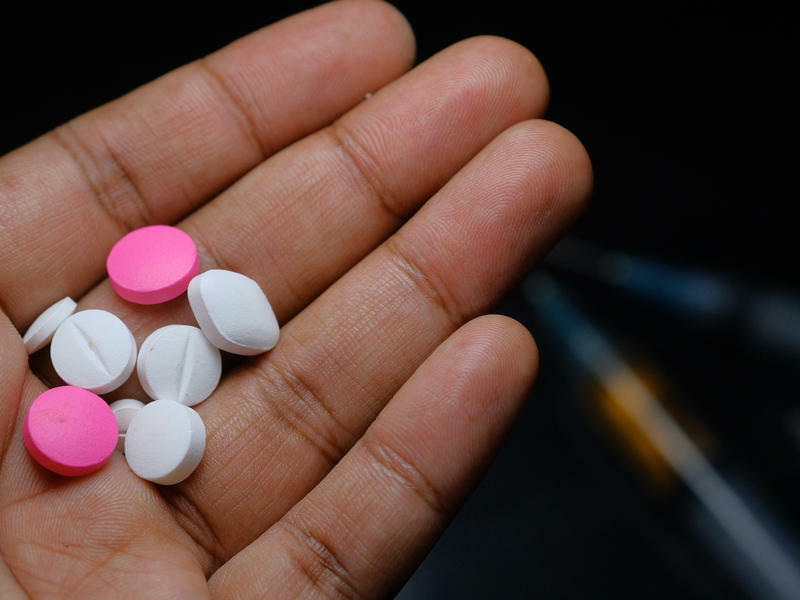 The report sheds a bright light on the changing nature of America's drug landscape — and the devastating number of overdose deaths that have occurred in the U.S. in recent years. As the opioid crisis envelops more Ohio families, more children are finding themselves in the hands of a court-appointed advocate. Court Appointed Special Advocates (CASA) of Franklin County, a non-profit organization, works to give a voice to children struggling with abuse and neglect.